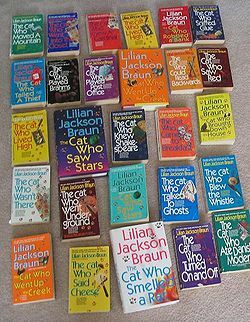 I think that The Cat Who…series was one of the first series that I ever became totally addicted to. I literally devoured every book in this series. 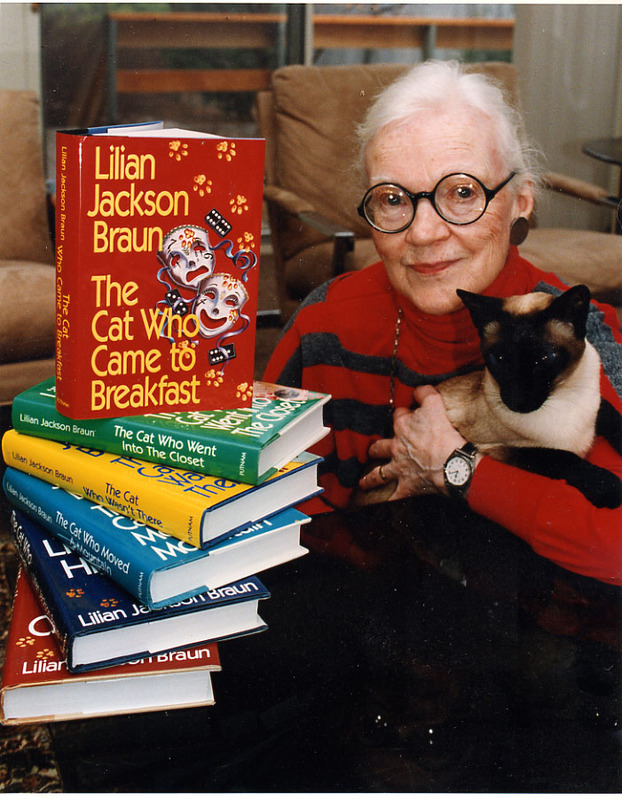 Lillian Jackson Braun died today of natural causes. She was 97 years old. I know she lived in or near Asheville, North Carolina for many years. I believe she was a fierce cat lover. I just read that she wrote every single Ko Ko and Yum Yum book by hand and rarely needed an edit. I find that amazing. I loved Quilleran…the main character who lived in an apple barn with these two cats. Their litter box was a baking pan and he only fed them gourmet foods…again…I loved this series. Did you sort of grow up with a series or an author that you will never forget? I've never read any of that series, but it must be good to have gone on so long. What a sad day for readers. Aw that's so sad. I wondered why they canceled the last Cat Who book. I've read all of them at least twice and so have my mother and grandmother. Koko, Yum Yum, & Qwill have been part of our family for a long time. Ms. Braun will really be missed. I recently came across “Short & Tall Tales, Moose County Legends Collected by James Mackintosh Qwilleran” at a library book sale. As the title suggests, it purports to be the collection of Moose County legends that Qwill collected as he talked to his friends and neighbors and was going to publish “someday.” Lillian Jackson Braun published this book in 2002 – I don't recall the completion of Qwill's book being mentioned in any of the Koko and Yum Yum books, but I pretty much inhaled most of those books so it's possible I just missed the reference. Anyhow, I'd hadn't read it before, I guess because it wasn't part of the “The cat who” sequence. It was nice to find a “new to me” part of this series. It was nice to see familiar names, even though the stories are just fragments that don't tell us anything more about the Qwill story. And it's nice to read more from Lilian Jackson Braun at her best. For me, this book was a far more satisfying end for the “the cat who” series than “60 Whiskers,” the last book Ms. Braun published.